Avengers 4 Spoilers Revealed in RDJ's Infinity War Blu-ray Interview? Filming for Avengers 4 started in August 2017 and lasted all the way until January 2018 during the post-production process of Avengers: Infinity War, which was just recently released on Blu-ray. 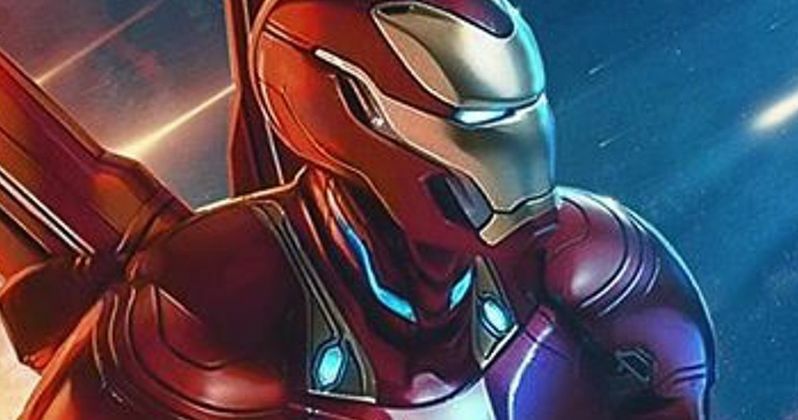 The extra features from the new Blu-ray edition contains several interviews with the stars of the movie, including Robert Downey Jr., who is in his Avengers 4 Tony Stark look with blonde hair, a gray beard, and a blue vest. However, it isn't what RDJ is saying that makes the interview notable. Instead, it's what we can see in the background. In the background of the Robert Downey Jr. interview from the set of Avengers 4, he is seen in Shuri's lab back in Wakanda, leading many to believe that he and Shuri will be working together to try and reverse the snap of Thanos. Letitia Wright has teased that her Shuri character and Tony Stark will meet up, which didn't happen in the last film. It makes perfect sense that Stark would seek out someone that's even smarter than himself to do so. Plus, she might have some extra information about the Mind Stone that Stark and Bruce Banner don't have since she was working on it for so long in Infinity War. It has been heavily rumored that Avengers 4 will take place after a time jump, which would explain Tony Stark's new look. Additionally, Gwyneth Paltrow recently revealed that Pepper Potts and Stark are married with a child. The two were newly engaged at the beginning of Infinity War, right before Stark took off to save Doctor Strange with Peter Parker. Stark's new look features that blonde hair that we've seen in all previous pictures from the set of Avengers 4 and looks noticeably older than he does in the last movie, also adding to the rumors of a time jump. Avengers 4 is currently in post-production and gearing up for its April 2019 release date. The Russo Brothers are currently in the editing process, after taking some time off to promote the Infinity War Blu-ray. The directors and Marvel Studios are keeping the contents of the movie on lockdown, and it's amazing that not even the official title of the movie has been leaked at this time. However, it's getting close to the early start of the promotional campaign, so some more clues will be on the way before the end of the year. Doctor Strange is the only one who knows how everything will play out in Avengers 4, but he's currently dust. But, his glance into the future to see the one chance where everything works out has to do with Tony Stark, who will more than likely have to team up with Shuri to make sure everything goes according to plan. And if there's anyone who is just as obsessed with reversing the snap, it's Shuri, who is probably devastated by the loss of her brother, T'Challa. For more information about the Infinity War Blu-ray where you can see the Avengers 4 set interviews, you can head over to Marvel for more details.